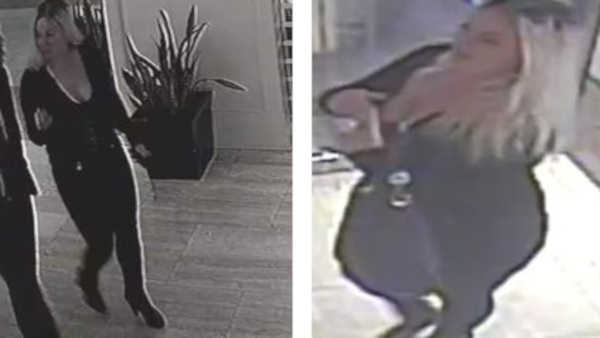 MIDTOWN, Manhattan (WABC) -- Police are searching for a woman who they say stole a Rolex off of a man's wrist inside the room of a Midtown hotel. On Thursday, November 3rd, the victim, a 33-year-old man told police he met an unknown woman just before 1:30 a.m. at Faces and Names Lounge. The man said he then invited that woman to his room at the Park Central Hotel, and proceeded there a short time later. The man reports he woke up at 10 a.m. that morning, and discovered that the woman was gone and his $18,000 Rolex watch had been removed from his wrist. The woman is described as white with medium-length blonde hair. She was wearing black pants, a black top and was carrying a black purse.